Polymers can be called as macromolecules. Macromolecules can be considered as an association of small molecules to give a big molecule. Macromolecules can be man-made, too. The first syntheses were aimed at making substitutes for the natural macromolecules, rubber and silk; but a vast technology has grown up that now produces hundreds of substances that have no natural counterparts. Synthetic macromolecular compounds include:elastomers, which have the particular kind of elasticity characteristic of rubber; fibers, long, thin and threadlike, with the great strength along the fiber that characterizes cotton, wool, and silk; and plastics, which can be extruded as sheets or pipes, painted on surfaces, or molded to form countless objects. We wear these manmade materials, eat and drink from them, sleep between them, sit and stand on them; turn knobs, pull switches, and grasp handles made of them; with their help we hear sounds and see sights remote from us in time and space; we live in houses and move about in vehicles that are increasingly made of them. In short, we can say that polymer is a very large molecule that is made up of many repeating small molecular units. These small molecular units from which the polymer is formed are called monomers. The chemical reaction that joins the monomers together is called polymers. Fibers are the polymers long, thin and threadlike, with the great strength along the fiber that characterizes cotton, wool and silk. Plastics are the polymers which can be extruded as sheets or pipes, painted on surfaces, or molded to form countless objects. Natural polymers are found in nature and are generally obtained from animal and plants. Examples are, RNA, DNA, Cellulose, Natural Rubber and Protein etc. Some examples of natural polymers are Polysachhacrides (Carbohydrates) , Proteins, Nucleic acids and Natural Rubber. Natural rubber is obtained from latex of rubber tree. Chemically it is regarded as the polymer of isoprene units. Natural rubber is soft, sticky and has very little capacity to retain its shape. These properties are due to absence of cross-linkage between the polymeric chains. Natural Rubber becomes soft at high temperature (T> 335 K) and brittle at low temperature (T<283 K) and shown high water absorption capacity due to which it is sticky and semi fluid like substance. It is soluble in non –polar solvents and is radially attacked by oxidizing agents. These polymers are prepared in laboratory by doing some modification in natural polymers to improve their quality. These are synthesized in the laboratory from chemicalls. Examples are  backelite, nylone, P.V.C., polythene , Teflon etc. This classification of polymers is based upon the fact that how, the monomeric units are linked together. Linear polymers are formed when monomers are joined together to form long straight chain s of polymer molecules. These polymers do not have any branching. Examples are, polyethylene, nylons etc. In these epolymers monomeric units constitute a branched chain. These polymers have lower densities, low melting point and lower tensile strength as compare to linear polymers. Examples, Amylopectin, glycogen and low density polyethylene etc. These type of polymers are formed when liner linear polymeric chains are joined together to form a three dimensional network structure. These are very hard, rigid and brittle. Examples are Bakelite, melamine formaldehyde resin etc. These polymers have very weak intermolecular force of attraction between the polymer chains. Very weak  Van der waals’ forces hold the different chains of elastomers together.  . They have high degree of elasticity and thus can be stretched and then reverts back to its original shape when force is removed. These have some cross-links so that the chains do not slip over another. These have very strong intermolecular forces. Linear polymers are held together by hydrogen bonds and/or dipole- dipole attraction.. These have tensile strength and lest elasticity, have high melting point and low solubility. Example : Cellulose, nylon, terylene, wool and silk etc..
Intermolecular forces of thermoplastic polymers are higher than elastomers but lower than fibers. These do not have any cross linkage. These are hard at room temperature, but when they are heated, the individual chains slip past one another and polymer becomes soft. Thermoplastic polymers readily becomes soft on heating and thus can be moulded into required shapes, so they are used for manufacturing of toys and chairs etc. Example: polyethene, polystyrene, polyvinyl chloride etc. These are cross linked polymer. Cross linking increases with heating. These become hard and infusible on heating and cannot be soften further because of large number of  cross links. Example: phenol formaldehyde resin, melamine-formaldehyde resin etc. 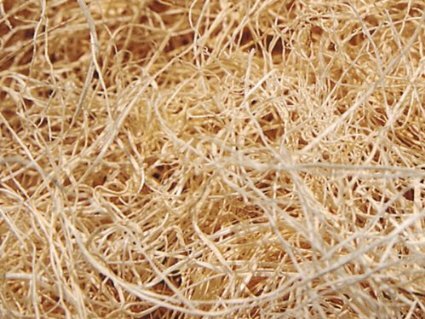 Fibres are long thin, threadlike bits of material that are characterized by great tensile (pulling) strength in the direction of the fiber. The natural fibres – cotton, wool, silk – are typical. Fibres are twisted into threads, which can then be woven into cloth, or embedded in plastic material to impart strength. The tensile strength can be enormous, some synthetic fibres rivaling – on a weight basis – steel. The gross characteristics of fibres are reflected on the molecular level – the molecules, too, are long, thin, and threadlike. Furthermore, and most essential, they lie stretched out alongside each other, lined up in the direction of the fiber. The strength of the fiber resides, ultimately, in the strength of the chemical bonds of the polymer chains. The lining-up is brought about by drawing – stretching — the return to random looping and coiling is overcome by strong intermolecular attractions. In a fiber, enthalpy wins out over entropy. This high degree of molecular orientation is usually — although not always — accompanied by appreciable crystallinity. Addition polymers which are formed by more than one type of monomers are known as copolymers. Alternating Copolymers: The monomer units occur alternatively throughout the polymer chain. 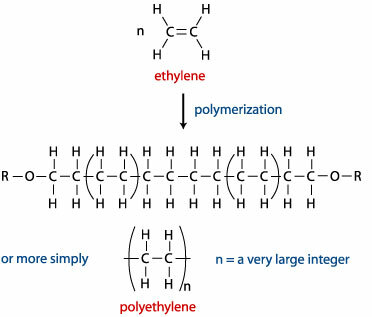 Graft Copolymers: Homopolymer branches of one polymer unit are grafted onto homopolymer chain of another monomer unit. Formation of condensation polymers involves elimination of small molecules such as water, alcohol, HCl, etc. Nylon 6, 6 − Formed by the condensation of hexamethylene diamine with adipic acid. Q1. Which of the following polymers is not an addition polymer? Q2. Which of the following polymers is  a thermosetting polymer? Q5. Which of the following is an example of thermosetting polymer? Q6. Which is an example of thermosetting polymer? You can also refer to the polymerization and some important polymers. 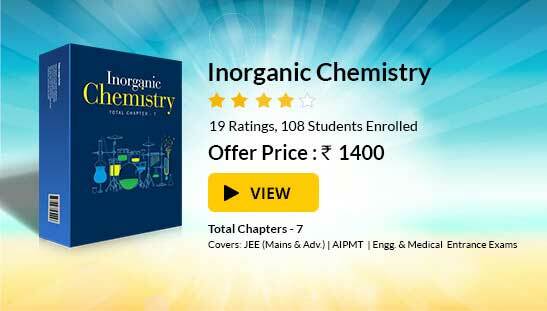 To read more, Buy study materials of Polymers comprising study notes, revision notes, video lectures, previous year solved questions etc. Also browse for more study materials on Chemistry here.